If Newt Gingrich holds to form in Tuesday night's GOP presidential primary debate in Nevada, he may well decide to answer a question on health care policy by invoking the threat of "death panels." He backed up Sarah Palin when she first tossed that rhetorical grenade against the Democrats' universal health care legislation in the summer of 2009 and he wielded the dread phrase again at the last debate in criticizing the new recommendations against routine testing for prostate cancer in older men. My colleague Jonathan Cohn did yeoman's work last week in rebutting Gingrich's specific attack on the prostate cancer issue. What has gone far too little noted these past two years, though, is just how deeply, personally hypocritical Gingrich is being in adopting Palin's "death panel" framing at all. Simply put, Gingrich really ought to know better, because his own personal experience is closely entwined with this issue in a way that brought him special insights that he has since cast aside for the sake of adopting a political cheap shot. The "death panel" myth, as I reported in a September 2009 article, traces to a hospital in La Crosse, Wisconsin, a small city on the banks of the Mississippi. Since the mid-1980s, Gundersen Lutheran hospital has been building a reputation as a national leader in end of life care -- encouraging local residents to develop "advance care directives" that give the hospital clear instructions in how aggressive to be in treating various end of life conditions. Today, more than 90 percent of the hospital's patients complete advance care directives, many of them years before they become seriously ill. Not surprisingly, the hospital relies more heavily than others on palliative care and spends 30 percent less than the national average on end of life medical treatment. As one admirer put it in a July 2009 blog post, "If Gundersen's approach was used to care for the approximately 4.5 million Medicare beneficiaries who die every year, Medicare could save more than $33 billion a year." That admirer? 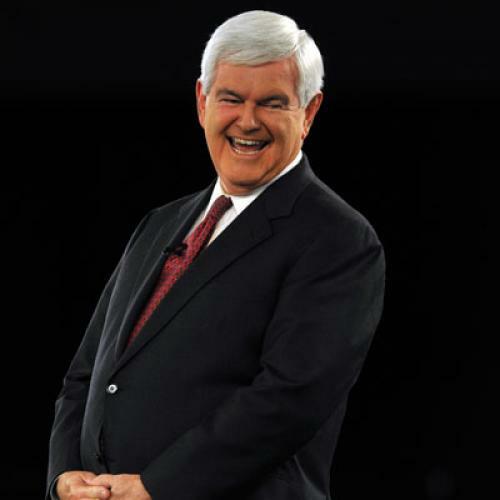 Newt Gingrich. The former House Speaker had close knowledge of Gundersen's approach: in 2006, the father of his wife Callista passed away at Gundersen after a battle with lung cancer. Gingrich has been open about how well the hospital handled his father-in-law's end of life care. "What they create is a family relationship in a difficult period so that the families end up being very satisfied," he said in an April 2009 article in the Columbia (Mo.) Daily Tribune. "The families feel there was dignity, there was dialogue, people were collectively doing something." There was just one problem with Gundersen's approach: it was a bad financial deal for the hospital. Under Medicare rules, the hospital could not seek reimbursement for the considerable time that physicians and other hospital staff would take talking with patients and local residents about their advance care directives. Meanwhile, hospitals elsewhere that treated patients with more extreme measures in the final months of life were reimbursed for every bit of that work, no matter the cost. Gundersen set out to change that. It led an informal coalition of other hospitals with a similar approach to end of life care, mostly in the Upper Midwest and Pacific Northwest, and prevailed on sympathetic legislators to insert into the House version of the health care bill language under which Medicare would reimburse for end of life consultations. This was the provision that Palin seized on as the "death panel." Gundersen and the allied hospitals tried to set the record straight, but were dismayed to see GOP lawmakers who'd expressed support in the past, such as Iowa Sen. Chuck Grassley, endorse Palin's language. Most jarring of all was the sight of Gingrich telling George Stephanopoulos on ABC that the provision meant turning end of life authority over to the government. "You're asking us to trust turning power over to the government, when there clearly are people in America who believe in establishing euthanasia," Gingrich said. I have always been a vocal proponent of proper end-of-life planning -- and an equally vocal opponent of government intervention in the most sacred of moments. Gundersen Lutheran gets it right. Ninety-plus percent of patients complete advance directives with their doctors, nurses and families. Gundersen offers this because it is good for patients, not because of a government directive. Patient satisfaction is among the highest in the country because its model is compassionate, dignified and individually centered. It does not push individuals to forgo care, nor does it make decisions on their behalf. I know this personally because my wife's father was a patient at Gundersen until his death in 2006. When you combine the new federal powers in the emerging House legislation with the crushing Medicare debt of the future, especially with 20 percent of costs spent in the last two months of life, government rationing is a question of when, not if. After the death panel furor, the reimbursement language failed to make it into the law. Curran, in an awful twist of fate, died in the midst of all this, in December 2009, after a sudden onset of brain cancer, at age 54. And Gingrich -- despite continuing to praise Gundersen and working with the hospital through his Center for Health Transformation -- is still talking about death panels. A few days ago, I spoke with Bud Hammes, the medical ethicist and La Crosse native who has presided over Gundersen's approach to end of life care. I asked him what he made of the fact that Gingrich had brought back into circulation the phrase that had torpedoed Gundersen's hoped-for provision in the new law. Hammes is a soft-spoken Midwesterner, but he did not hesitate. "It’s distressing," he said. "The context and what he’s talking about is not clear. It leaves open that he’s talking about advance care planning as opposed to government bureaucrats making decisions about the lives of Americans. The issue really is that [advance care planning] is an important service that benefits patients so they can make more informed choices. It's a health care service, and an important service, and it's only fair that it be compensated. It's also only fair to recognize that both in the law and in practice, participating in such a conversation is fully voluntary. There's never been anyone to make the case that preferences should be pushed." Maybe Gingrich can clarify this point at the Nevada debate. After all, he knows the issue better than anyone on the stage.